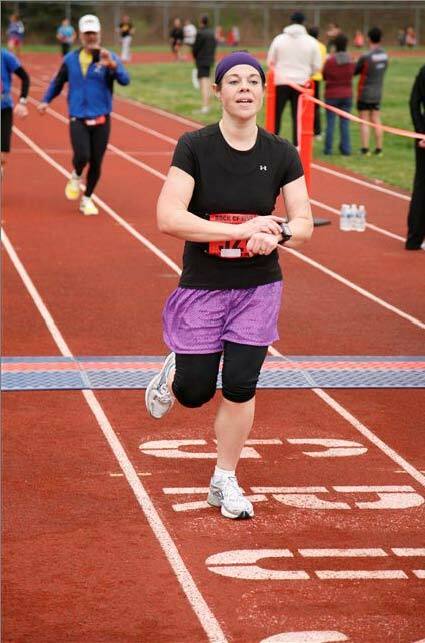 If you missed it, I previously wrote about running (and training for) your first 5K and your first 10K. The half-marathon distance is where things take a big leap, and your training gets longer. 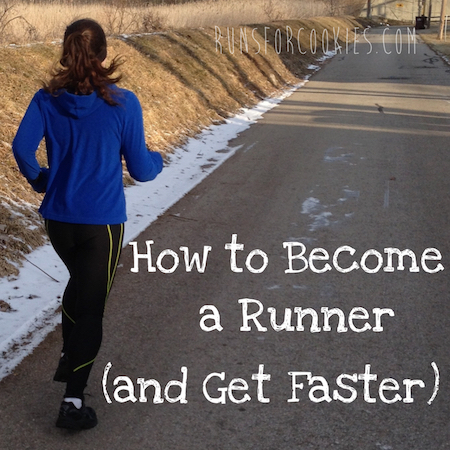 You're probably no longer a "beginner", and you've likely done a few shorter distance races. 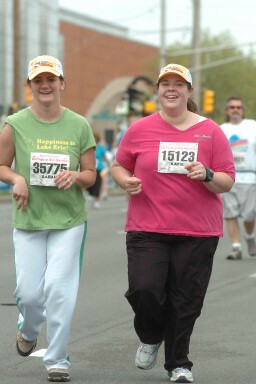 My first half-marathon was a race that I had walked for three years in a row before I decided to run it. It was the Indy 500 Festival Mini-Marathon, which is the largest half-marathon in the country, and third largest in the world (source). I didn't have a time goal in mind, but I really wanted to truly enjoy the entire race--and I think that made all the difference in how great of a race I had! I've now completed 11 half-marathons, so it's no longer an intimidating distance for me. My favorite distance is still the 10K, but half-marathon is a close second. It's long enough that you have to train for it, but not so long that the training consumes your life (like a marathon does). Anyway, I hope these tips will be helpful! Feel free to share your own tips in the comments. 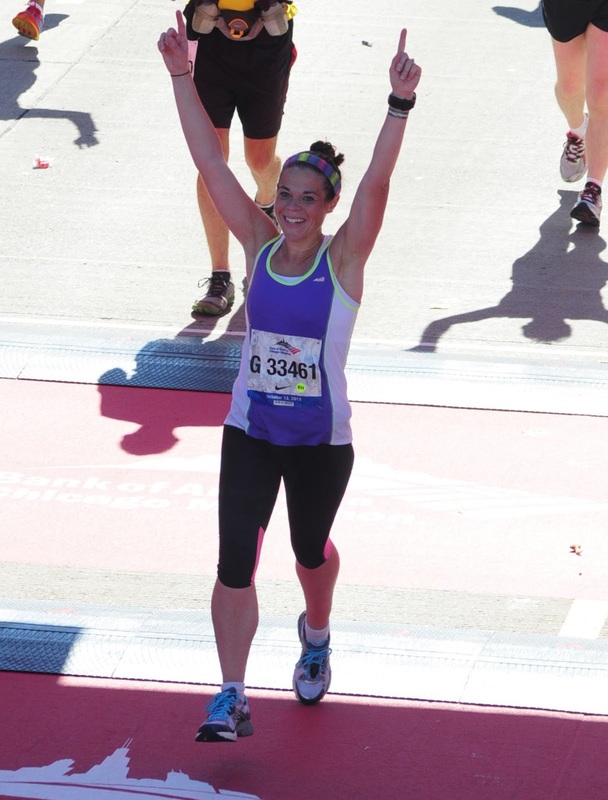 A guide to "running lingo"
*I do not recommend a half-marathon as your first race. I'd start with a 5K, move to a 10K, and once you get at least a couple of races under your belt, then think about the half. I think if you've finished a 10K, you're running regularly, and have the discipline to stick to a training plan, you're probably ready to tackle the half-marathon! *Choose a training plan based on your goal. If your goal is just to finish, feeling strong, find a plan that doesn't focus on a bunch of speed work. I've written a plan for beginners, which you can find here on my Training Plans page. I don't recommend having a time goal for your first, because it adds a lot of unnecessary stress in what should be an enjoyable race. *If you DO decide to have a time goal, at least make it a realistic one. I love this pace calculator. You can input a recent 5K or 10K time, and it will give you a prediction for a half-marathon time. That is also a realistic goal. *Don't slack on your training! While some people can manage to complete a 5K or 10K with little to no training, the half-marathon distance is definitely tougher--even if you plan on walking it. When I walked my first, I didn't train at all, and I paid the price for that (I had to wear a walking cast for a few weeks because I had bad tendonitis). You should get in a long run of 10 or more miles about two weeks out from the race. *On a related note, if you DO happen to miss a run for a very good reason, don't worry about making it up. Just start where you left off. *Practice your fueling plan during your long runs. When you run for 13.1 miles, you're going to on the course for roughly 2-3 hours--and you're going to need something to help give you the energy to keep going. During training, you can experiment with gels, chews, sports drinks, etc. to find out what works for YOU. This is one area that truly is unique to each individual. Your training partner may do great with gels, but they might make you nauseous. Or vice versa. Try out all different types of fuel during your training runs to find out what agrees with YOUR body. In general, I'd aim to take in 1-2 gels, or 3-6 ShotBloks (or equivalent) for a two-hour half-marathon (maybe miles 5 & 10?). An additional gel for three hours. *Check out the race website to see where the water stations are, and practice taking in your fuel at those points during your training runs. *If possible, find a training partner to prepare for the race with. Running with a partner really helps the long mileage fly by! 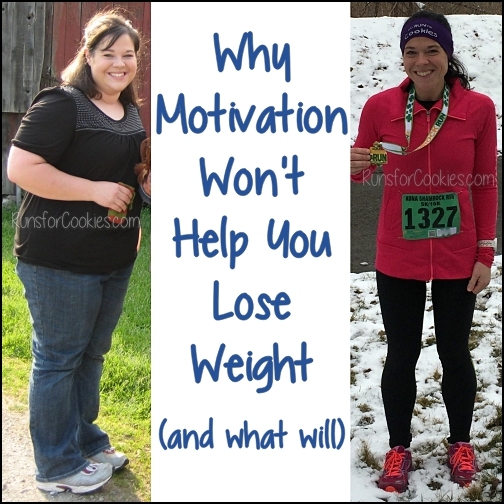 Jessica was my training partner for my first full marathon, and it helped a LOT! Partners that run together, treat themselves to fro-yo together! *Check out the course, and try to mimic the terrain if possible. If there are tons of hills, then you'll obviously want to include a lot of hills in your long runs. If it's a trail run, then you'll want to run on trails. 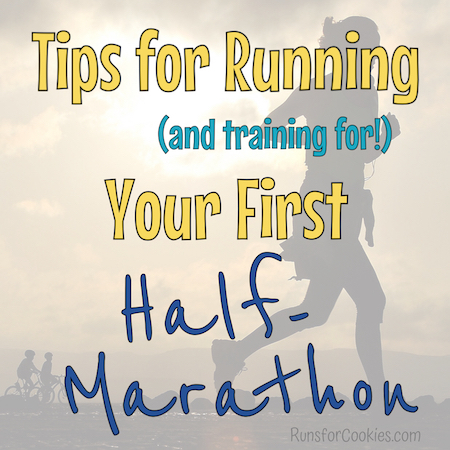 *Running your first half-marathon is a really big deal, so make sure you treat it like one! Let your family and friends know how much it means to you, and if you want them there, just ask. Non-runners usually have a hard time understanding how important a race is, and it's not personal. Just tell them what you're hoping to get from them--cheers, posters, whatever floats your boat. *Like always, don't go out too fast when you're at the race. Chances are, you'll be feeling great, and with the spectators and other runners around, you'll want to push the pace a little. But that almost always will come back to bite you later. Start out very conservatively, and if you're still feeling great at the 10 mile mark, push the last 5K. *Some half-marathons have "pacers", which are people who are assigned to finish the race at a particular time. They'll carry a sign that reads the projected finish time, so you know who they are. If you're afraid of going out too fast, or if you want to finish in a particular time, you can always choose to stick with a pacer to help with your goal. *This is an obvious tip, but make sure you go to the bathroom before the race! The porta potty lines are long, so allow enough time. What NOT to do when you cross the finish line! *Be prepared to be sore for a day or two after the race. Once your legs are accustomed to doing that distance, it won't be so bad; but after your first half-marathon, you'll likely be pretty sore! Plan on taking a week off of running to recuperate. A half was my first, too (if you count that I walked it), and that's why I don't recommend it! Hahaha. Best wishes on your recovery! If you stick with your training, I bet you'll do just great at the end of summer! I am planning to run a half marathon in November. I have been just running on my own schedule, usually 3-4 times a week with my longer run on Saturday. I am trying to choose a professional training schedule. I looked at Hal's. I am not sure about the last long run only being 10m. What are your thoughts? Hal's program does a great job preparing you. Don't let the jump from 10 miles in training to 13 on race day intimidate you. If you are consistent in training, it will prepare you. Race day excitement moves you farther and faster than you will expect. Thanks for these posts, they are so helpful. I already saved the ones for shorter distances so I'll save this one too. I was guilty of the watch stopping at my 5K in April, luckily there were no pictures anyways and I think you mentioned not to do it before so I've stopped since. I love the second finish line picture, it's awesome. I have a friend that does the Indy 500 every year so I'm hoping to be able to do it with her one year. My first half is most likely going to be the Disney Princess one in 2016 lol. First, I just need to tackle running an entire 5K (goal 9/28). Great article Katie. I've done 5 half marathons myself and think this is a great synopsis for anyone considering their first. I'm glad you think so! I was hoping I didn't forget anything. Gosh Katie - I've seen "before" photos before, but for some reason, today it's just shocking. I've fully adapted the image of you in my head to be the "after" Katie. Sometimes it's just so hard to believe. You are so inspiring. I did Hal's training for my first half. I want to do my second this fall. I don't know what I thought of the longest run being 10 miles, but I'd like to find a training plan that has a taper of longer than one week. Do you know of any? I think that might work better for me. Or not. But it's worth a try! Thanks so much, Jen! :) Most plans will have a taper of just one week for a half-marathon, but if you feel like you need more taper time, you could always do that final week twice. I wouldn't taper for more than two weeks, though. Great post. I appreciate all the great stories you have. i am working on my first half this summer. I have been writing in my own blog at http://lost-some-where.blogspot.com/. its great to read about your struggles, your best moments and family life. Very motivating. You know I wasn't sure if you could sign up to do a half-marathon walk. I have been doing a virtual 5k each month, but I want to go even further. I have done an actual 5k walk yet where everybody does it together, so that is my next goal. Such a helpful post. I've bookmarked the Hal Higdon plan. Thank you! Hahaha!! The help putting on your pants pic gave me a laugh. 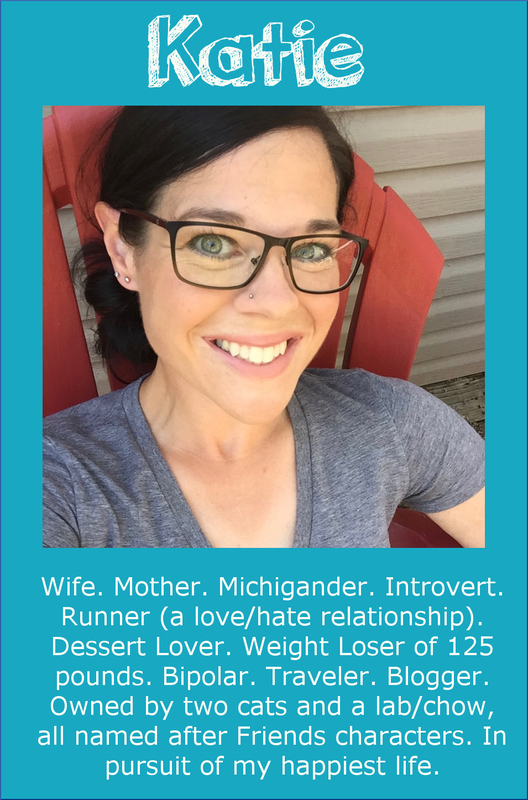 I walked my first half marathon at 250 pounds or more (and I'm 5'1"!) and afterwards, my sister and I got in the car in the parking lot and I asked her if she thought I could ask if the lady getting into the next car might be so kind as to put my seat belt on for me. Ouch!! But it's gotten much better since then and now I'm at 135 pounds, getting close to goal! Thanks for all the inspiration, Katie! I love the blog. Great post! I'm planning on running my first half marathon in march! Hi Katie! We have had a similar journey, and I'm excited to read your post. I was 222 lbs. 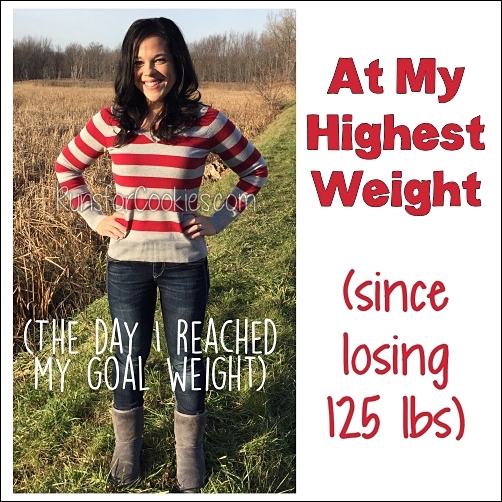 and am now down to 120 lbs., using MyFitnessPal. 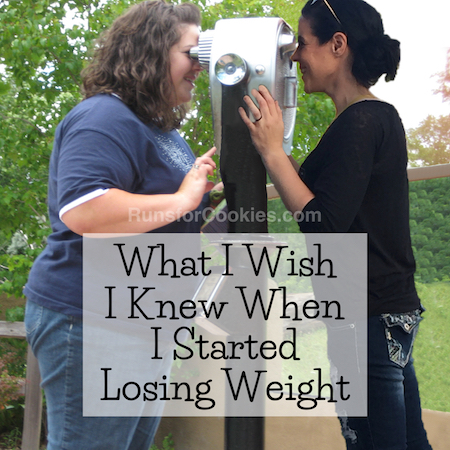 I discovered early that I love Zumba and using the elliptical and cycling. I never thought I could run because I've had a bad back and hips. But as I got more in shape, I gave it a try here and there. As I got down in to the 130's, suddenly, I could actually run more than a block! I couldn't believe it! I suddenly got the attitude that I will run no matter what, I and got this cheapie baseball cap I call my running hat, and it protects me from whatever ails me during a run. It's weird, but it helps! That and great music do help. My sister has run several marathons and she said the first two miles are torture and then it's great. I believe her now. I just ran my first 10K two weeks ago and it was amazing! I seriously loved it! I signed up for another 10K in March and then I think I'll do my first half in the fall (running in Florida outside in the summer would be awful). 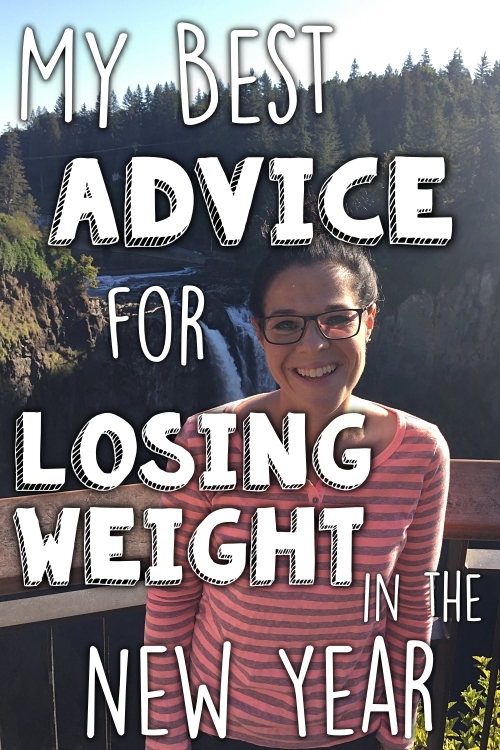 I'm so inspired by your success and blog and I am learning tons! I really have only been running like 3 months, so I don't know that much, but I just know now I cannot wait to run each day. I'm looking for a plan with more structure and only a 3-day a week time commitment. I found one and modified it. Mine does include some speed work and hill work, and I will do that because it makes things more interesting and in just a week of doing so, I feel a bit stronger. Anyway, thanks for all the info you provide on this blog. It's keeping me motivated! I made the mistake of signing up for a half marathon first. I'm 5'3" and weigh 222lbs. My race is this Sunday. I'm in constant pain from all this training and I nearly quit the week my group did 10 miles. A friend talked me out of it though so here I am, 3 days away and nervous, yet excited. We did 12 miles last week and I had an injured friend who walks insanely fast walk with me that week. I walked so much faster that time, but it was still 4 hours. I just hope there's someone left when I cross the finish line on Sunday.